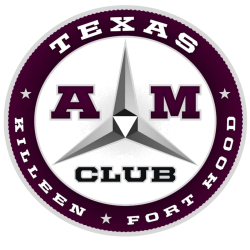 For the September 2019, November 2019 and April 2020 ring deliveries, the Killeen/ Fort Hood Area A&M Club will award a total of 5 ring scholarships valued at $500 a piece. The long term goal of the club is to create an Endowed Ring Scholarship through the Association of Former Students, valued at $25,000, that will help as many local Aggies as possible get their Ring. Scholarships & Financial Aid will notify students beginning in April 2019 if they have been selected to receive the Aggie Ring Scholarship. If you receive the Aggie Ring Scholarship: Once you meet the requirements, you will need to verify your eligibility and schedule an appointment online to order your Aggie Ring at the Aggie Ring Office. If you do not receive the Aggie Ring Scholarship: You may consider applying for an Aggie Ring Loan through the Short Term Loan Office. For further information concerning a scholarship application, please contact Scholarships & Financial Aid at (979) 845-3982.